Bumsted, J.M.. "Tobias Crawford Norris". The Canadian Encyclopedia, 04 March 2016, Historica Canada. https://www.thecanadianencyclopedia.ca/en/article/tobias-crawford-norris. Accessed 18 April 2019. Tobias Crawford Norris, politician, premier of Manitoba (b at Brampton, Canada W 5 Sept 1861; d at Toronto 29 Oct 1936). Although his name has been virtually forgotten, Norris was a towering political figure in Manitoba early in the 20th century. Tobias Crawford Norris, politician, premier of Manitoba (b at Brampton, Canada W 5 Sept 1861; d at Toronto 29 Oct 1936). Although his name has been virtually forgotten, Norris was a towering political figure in Manitoba early in the 20th century. Originally a homesteader, he gradually moved into professional auctioneering and was well known across western Canada. Elected an MLA in 1896, Norris led the Liberal Party in Manitoba 1910-26, serving as premier 1915-22. 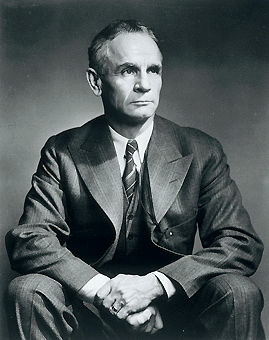 During his term of office his government dealt with wartime conditions and the return to peace, including the WINNIPEG GENERAL STRIKE. The Norris government has been called "the centre of reform activity in Canada" for its time. It was responsible for TEMPERANCE legislation, female suffrage, compulsory education, workman's compensation and minimum-wage legislation, as well as the establishment of a public-nursing system, rural farm credit, regulation of industrial conditions, and a mother's allowance for widowed dependent mothers. Under Norris, road construction and public-works programs were expanded at the same time that the province was brought out of debt. After his retirement from politics in 1928, he served on the Board of Railway Commissioners until his death.